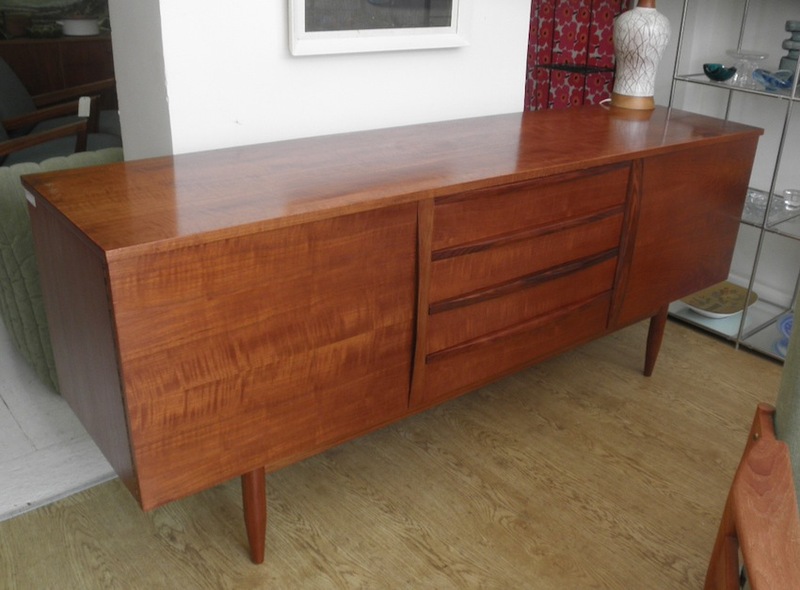 These Danish deluxe sideboards are always in demand as they are possibly the most beautiful of all the Australian mid century units. 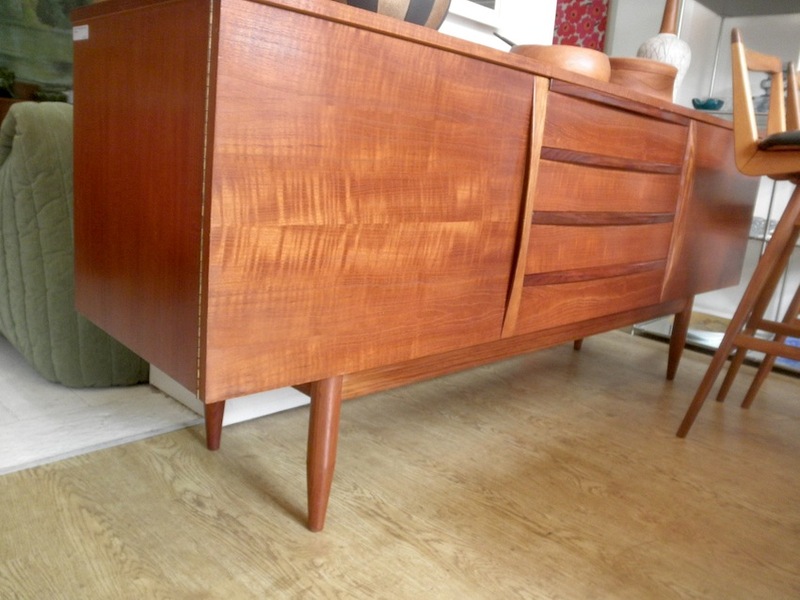 This one is an original one owner piece that still looks amazing and is one of the best we have seen. 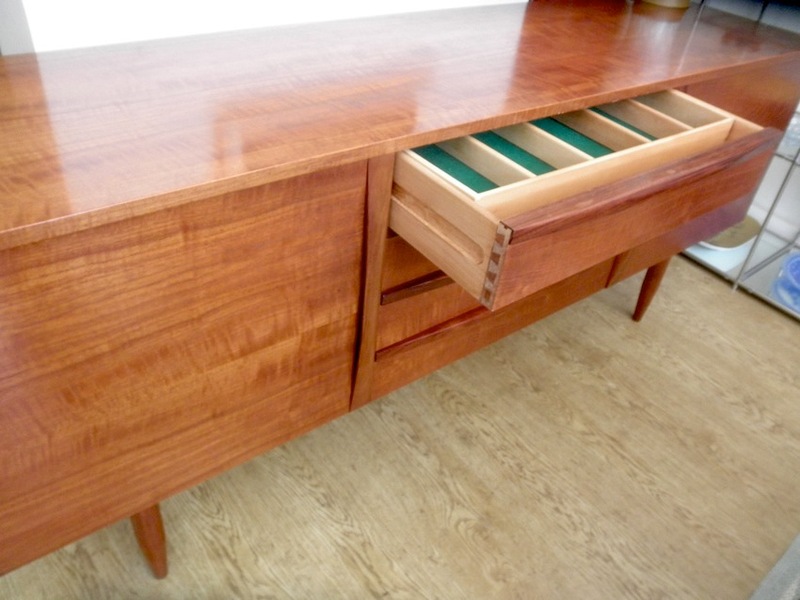 The drawers and cupboards were obsessively lined with brown paper and it was always kept oiled. 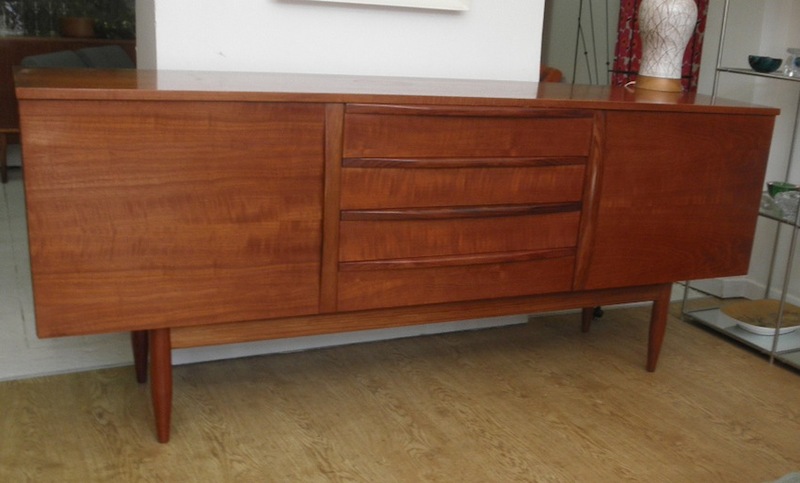 The veneers are outstanding with heavy figuring to the grain of the teak and contrasted by the blackwood handles. These are very rare now and don’t turn up in this condition. 183cm long x 46 deep x 76 high. 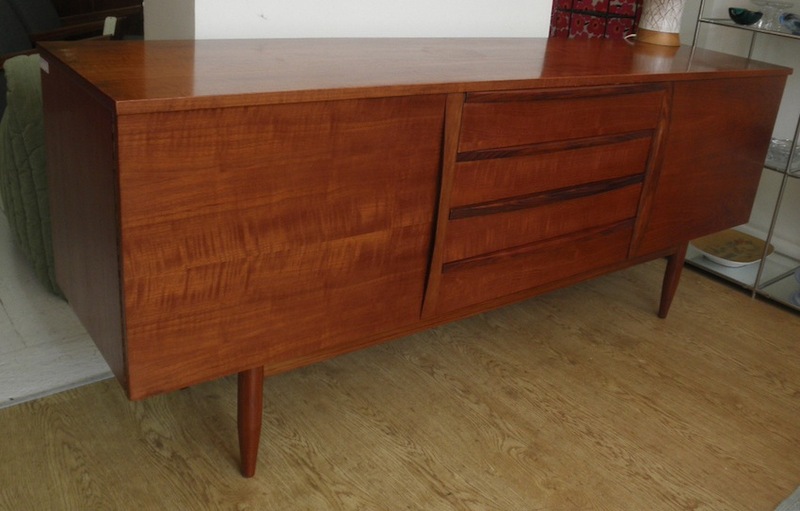 As with all our pieces we can arrange delivery, contact us for a quote.